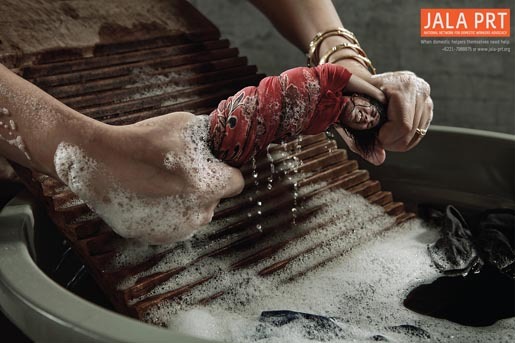 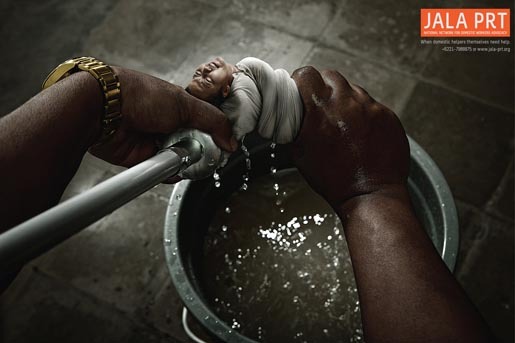 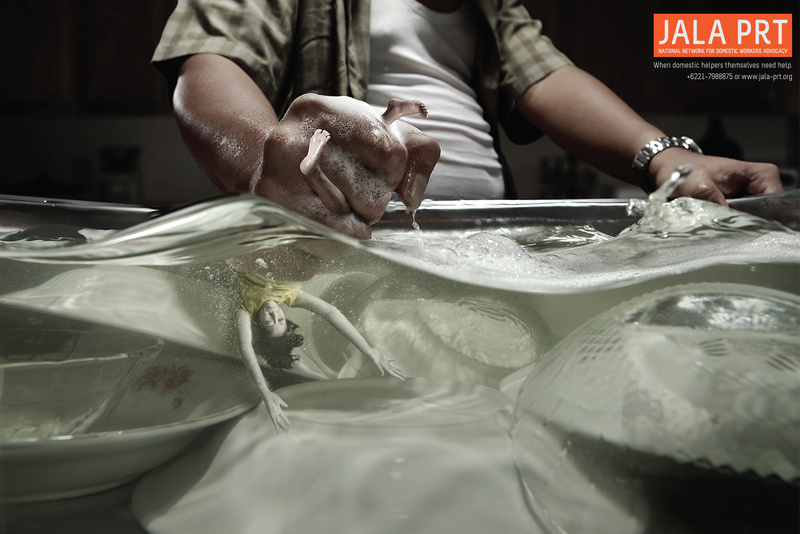 "JALA PRT, (Jaringan Nasional Advokasi Pekerja Rumah Tangga) the National Network for Domestic Workers Advocacy in Indonesia, is running a print advertising campaign featuring domestic workers metaphorically wrung out in unjust work environments. “When domestic helpers themselves need help”. The Jala PRT campaign was developed at Ogilvy, Jakarta, by executive creative director/copywriter Gary Caulfield, executive creative director/copywriter Jagdish Ramakrishnan, copywriters Purnadyka Anantha and Pribadi Prananta, art directors Ridward Ongsano, Nicholas Kosasih and Alfa Aphrodita, photographer Handri Karya, retoucher Heru Suryoko, prop master Aldo Ikhwanul Khalid, account executive Arianna Christanti, working with JALA PRT educator Lita Anggraini.